A motorist who caused a collision which left another driver with injuries has been ordered to pay £327. Chesterfield magistrates’ court heard on September 14 how Ian Redfern, 69, of Alfreton Road, Codnor, near Ripley, had pulled out of a T-junction at Riddings in his Honda Insight into the path of an oncoming vehicle. Redfern told police he had been heading home and had pulled out and was struck by a car coming in the other direction. Mr Matkin added the other driver had suffered a fracture to a spinal vertebrae, a lung laceration, chest pain and muscle and tissue damage to his right leg with bruising to his chest and abdomen. Redfern, who is of previous good character, pleaded guilty to driving without due care and attention after the incident at the Coach Road junction and Newlands Road, at Riddings, on May 9. 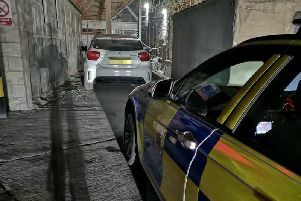 The defendant said he was “guilty” in taking no notice of the driver but thought he had been waved out by another driver. Magistrates fined Redfern £212 and he must pay £85 costs and a £30 victim surcharge. His licence was also endorsed with six points.